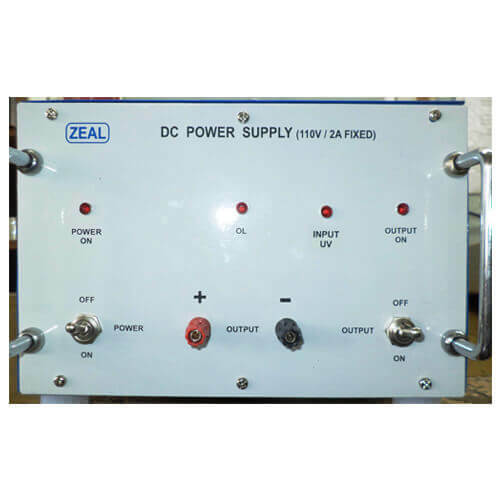 1) DC Regulated Power Supply work both in Constant Voltage (CV) and Constant Current (CC) mode. Output of the Power Supply is floating. 2) The Power Supply can be used as a positive or a negative source by grounding negative or positive output terminal respectively. 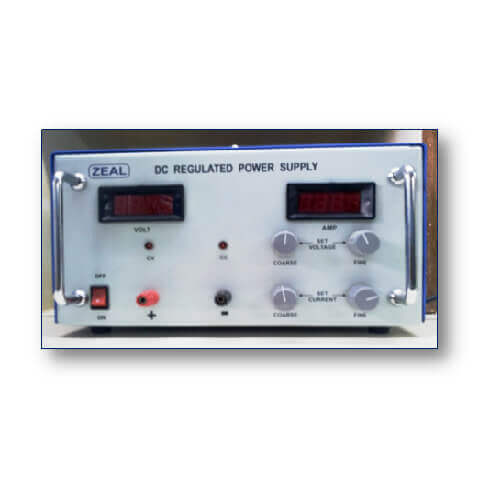 3) It is also useful for R&D and QC Departments of Electronics industries. 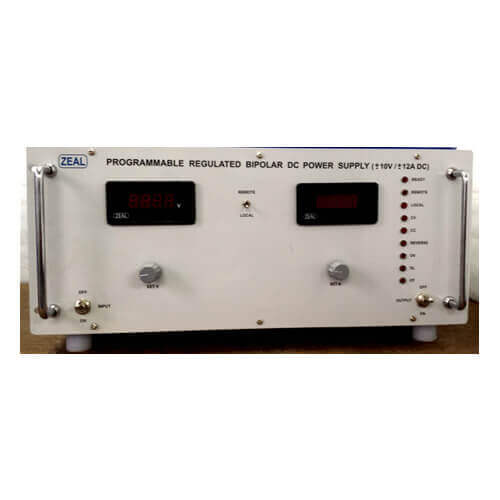 Controls Voltage and current setting: By coarse & fine potentiometer. 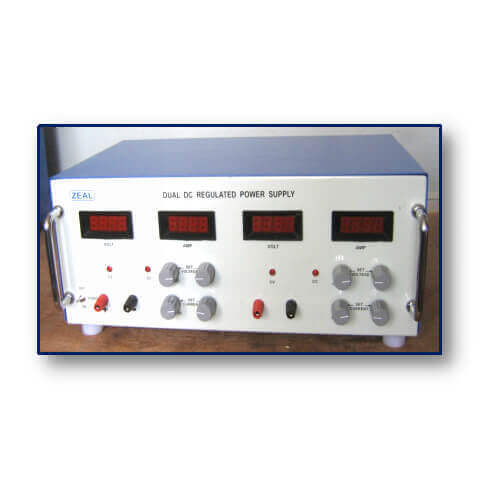 Controls Voltage and current setting: By coarse & fine potentiometer. Power ON/OFF switch. NOTE: Orders of customized Specifications can be executed.